If you go on the internet at all, you’ve most likely come across several different charcoal teeth whitening kits. Before you get out your credit card and make your next purchase, make sure you do your own research to see if charcoal teeth whitening is actually safe because the answer might surprise you. 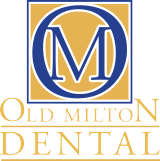 At Old Milton Dental in Alpharetta, we want what is best for the health of our patient’s teeth which is why we want them to know the truth about charcoal teeth whitening. Learn more about charcoal teeth whitening and your different teeth whitening options in Alpharetta. What is Activated Charcoal Teeth Whitening? To start, what is activated charcoal teeth whitening anyways? Activated charcoal is has been around for ages and it has many different uses. It originally gained recognition in the 20th century and has grown in popularity since, especially with teeth whitening products. Activated charcoal is made from olive pits, coconut shells, coal, sawdust, bone char, and other materials. These materials are processed with high heat to activate it which makes the internal structure more porous than traditional charcoal. Since it’s so porous, it’s effective for capturing harmful substances. Since it cannot be absorbed by the human body, it can excrete toxins from the body. Activated charcoal teeth whitening is basically putting activated charcoal on your teeth to remove the toxins and substances from your teeth. What is the Medical Use of Activated Charcoal? Activated charcoal actually has many different medical uses and health benefits. For one, activated charcoal has shown to improve kidney function. Since it can extract toxins, it’s being used to reduce the number of toxins that the kidney has to filter. This is beneficial to those who do not have high functioning kidneys. There have also been studies that show that activated charcoal can lower your cholesterol by binding to cholesterol in the gut, limiting how much is absorbed by the body. It’s also being used in the beauty industry specifically for purifying pores and treating acne. 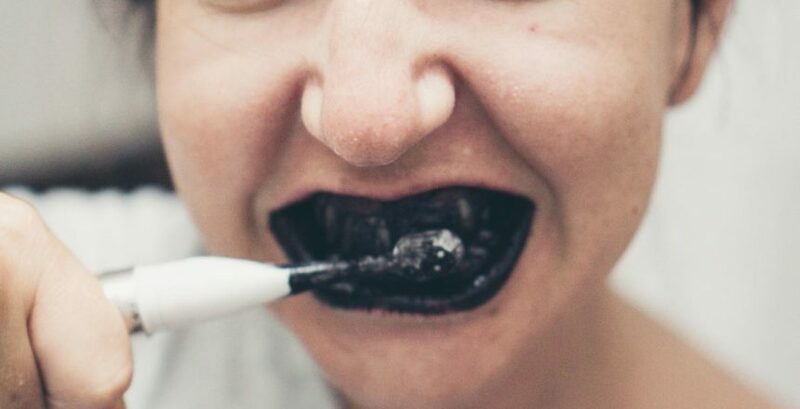 Of course, one of the most popular uses of activated charcoal is for teeth whitening, but is this really safe? Is Activated Charcoal for Teeth Whitening Safe? Now that you know everything there is to know about activated charcoal, it’s time to dive into activated charcoal for teeth whitening. In the past few years, activated charcoal teeth whitening has blown up. This is mostly due to beauty bloggers promoting activated charcoal whitening products. However, there have been no studies that prove that activated charcoal actually whitens your teeth. It’s also not FDA approved for most health uses. The American Dental Association (ADA) has also not approved it to be used as a whitening product or safe for use on teeth. The idea behind activated charcoal whitening, however, is that the activated charcoal absorbs plaque and other different compounds that may stain your teeth. In other words, the activated charcoal removes toxins from your teeth, therefore exposing your natural white smile. One of the top reasons you should steer clear of activated charcoal whitening products is that activated charcoal is abrasive. On the top layer of your teeth is where your enamel is. Your enamel is what protects your teeth from bacteria, tooth decay, and cavities. When you use an activated charcoal teeth whitening product like toothpaste, you are brushing your teeth with an abrasive product. This means that the activated charcoal may be removing toxins from your teeth, but it is also scraping off your enamel. Once your enamel is damaged, there is nothing you can do to protect your teeth because it doesn’t grow back. While your teeth might look whiter after using an activated charcoal whitening product, you may have in fact damaged your teeth. Always check with your dentist before you decide to use a new dental product, especially if it is not recommended by the ADA. We suggest that our patients do not use any activated charcoal whitening products in order to protect themselves from permanent damage to their beautiful teeth. Instead, we suggest using a whitening product approved by the ADA as well as your dentist. Discover our different professional whitening products. If you want to do everything in your power to ensure that your teeth are in good hands, visiting your teeth whitening dentist in Alpharetta is a good start. Our dentists are here to help your teeth look great while also being as healthy as possible. We offer a few different professional whitening products to our patients that will give them a guaranteed whiter smile without harming your teeth. In addition, you don’t have to worry that your results won’t look good because a professional cosmetic dentist will be giving them to you. Whether you prefer to whiten your teeth in our office or at home, we have perfect options for you. If you want to whiten your teeth in our Alpharetta dental office, we use Zoom! in-office whitening. This treatment is completed in just 45 minutes and can leave your teeth 8 shades lighter. You will sit in our dental chair with whitening trays and solution in your mouth with an LED light shining on your teeth to expedite the process. The take-home Zoom! whitening kit also uses custom trays and a bleaching solution to whiten your teeth. However, you must use it 30 to 90 minutes a day for a few weeks to achieve your results. If you want to find a teeth whitening treatment that won’t harm your teeth and leave you with beautiful results, visit our teeth whitening dentist in Alpharetta for professional teeth whitening treatment. Give us a call or fill out our online form to schedule an appointment today.